This new endeavor is not just about a preinstalled software package where every new installation/instantiation requires configuration – either by hand or via ansible/saltstack/chef/puppet or another automation tool of your choice. That would be too easy (for us) and not of much use for you. Eventually you may do some reconfiguration anyway to meet your needs, but we tried to make the appliance deployment as automated and straightforward for you as possible. For example, some appliances support username, password and email (where it makes sense) as a contextualization – you can deploy multiple of these appliances at once and each with its own credentials. But we don’t stop there. Even if you decide to not provide any contextualization at all, the appliance will still not have any passwords or sensitive security information baked inside the image. Every time you instantiate a ONE service appliance, it will first configure itself and generate a new set of credentials, tokens and similar, as needed. For more general information about ONE service appliances, visit the documentation. The aforementioned announcement serves as a sneak peak and we promised to give you more info about it and more appliances to play with. Let us first take a deeper look at the WordPress appliance. After that we will cover another new appliance – GitLab, the popular CI/CD platform for developers! 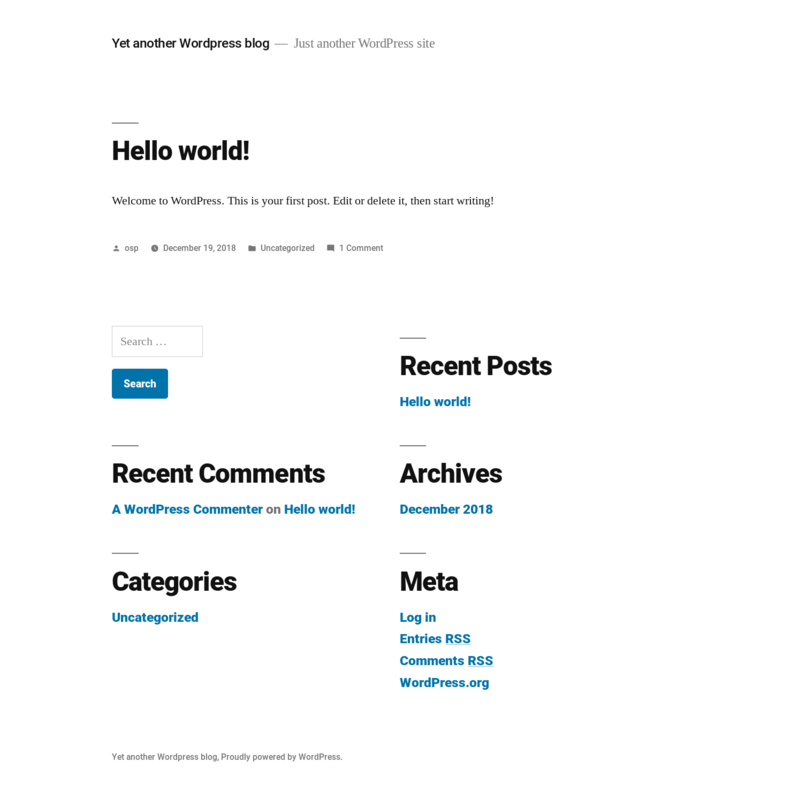 WordPress – Let’s write some blog! We will now create yet another blog. All the necessary steps are in the documentation so you just need to follow the Quick Start first, but don’t leave the contextualization parameters empty. Instead, fill up the bootstrapping variables and save your time by avoiding the need to go through the setup wizard. 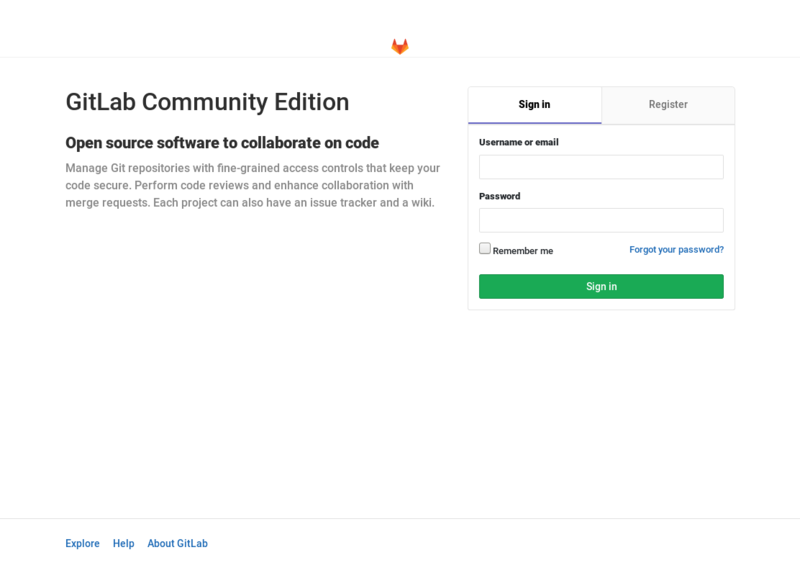 GitLab – It’s time to develop! GitLab is definitively one of the most popular CI/CD tools these days and we are happy to include it in our marketplace. Again, all the necessary steps are described in the documentation – follow the Quick Start and before you instantiate, fill up the bootstrapping variables. If you fail to do so, GitLab will greet you with the prompt for password setup. This concludes our introduction to the first batch of ONE service appliances. Stay tuned for the next addition! Do you have a tip for some other great service? Let us know what you think in the comment section! OpenNebula Newsletter – January 2019 v.5.8 “Edge” – beta version 2 available!